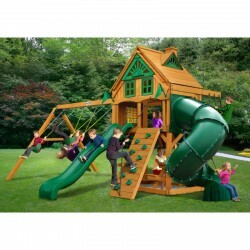 Gorilla Playsets Navigator Treehouse Swing Set w/ Amber Posts and Fort Add-On is designed to keep kids active! 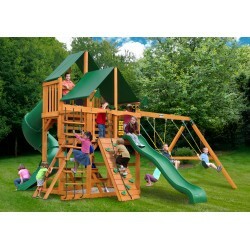 Gorilla Playsets Navigator Treehouse Swing Set w/ Amber Posts and Fort Add-On is designed to keep kids active! 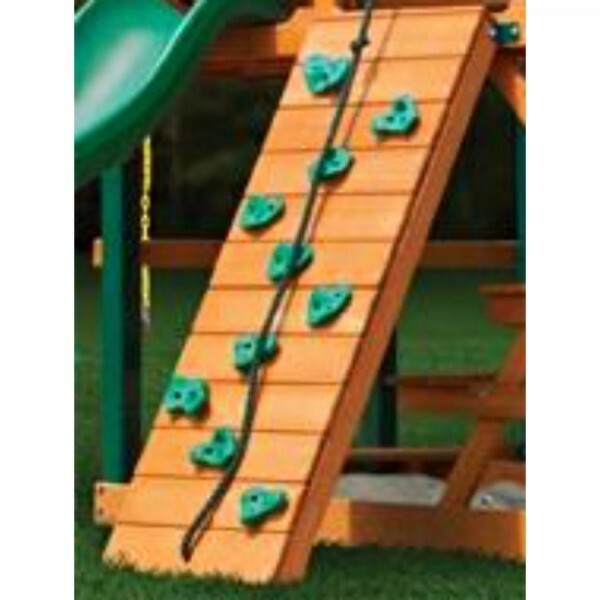 With all the fun accessories (not to mention the awesome monkey bars! 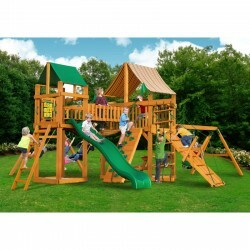 ), kids will enjoy safe physical activity in their own backyard. 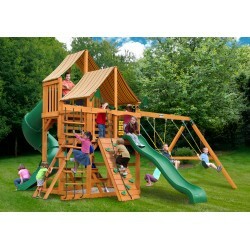 This premium cedar wood swing set is pre-cut, pre-sanded, pre-stained, and ready to assemble in your backyard. 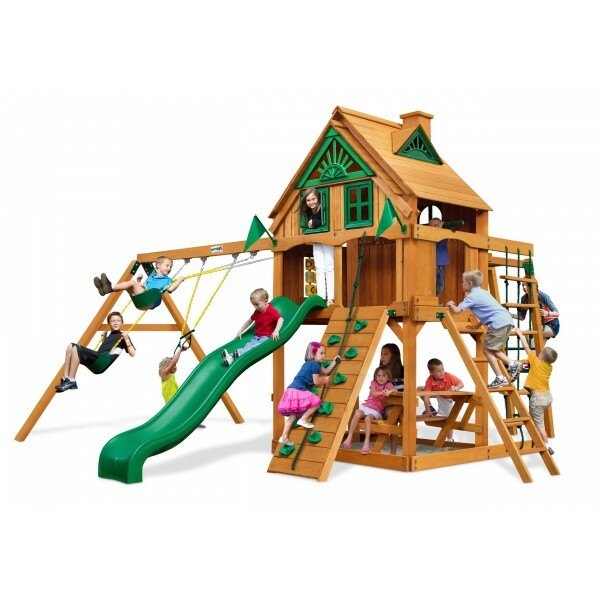 The play deck is protected with a tongue and groove wood roof and includes an Upper-Level Treehouse with working shutters. 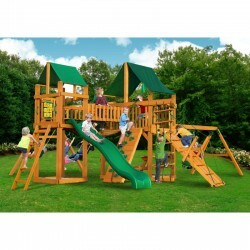 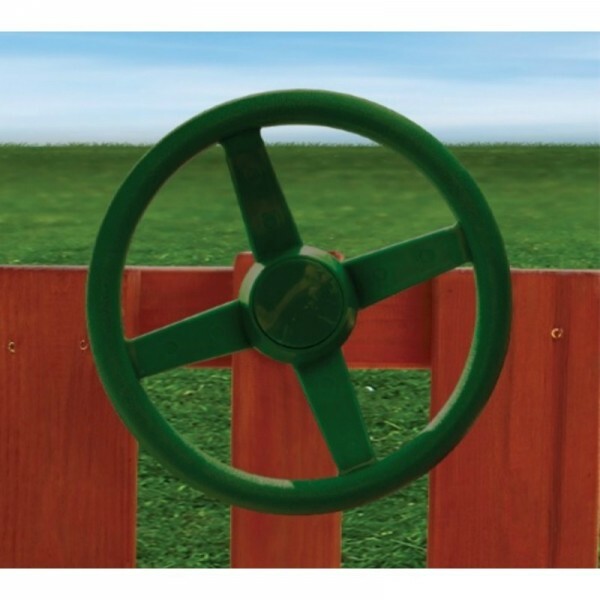 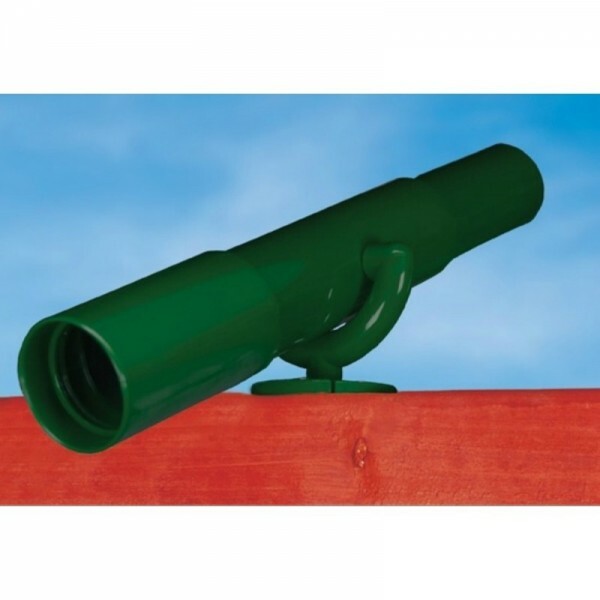 The entire playset is finished in our exclusive maintenance-free Timber Shield™. 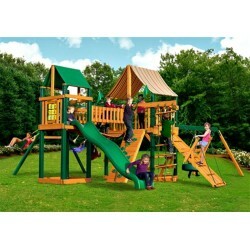 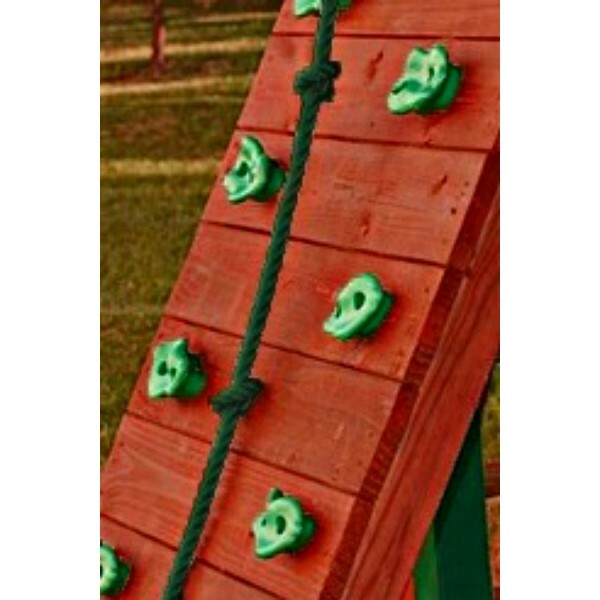 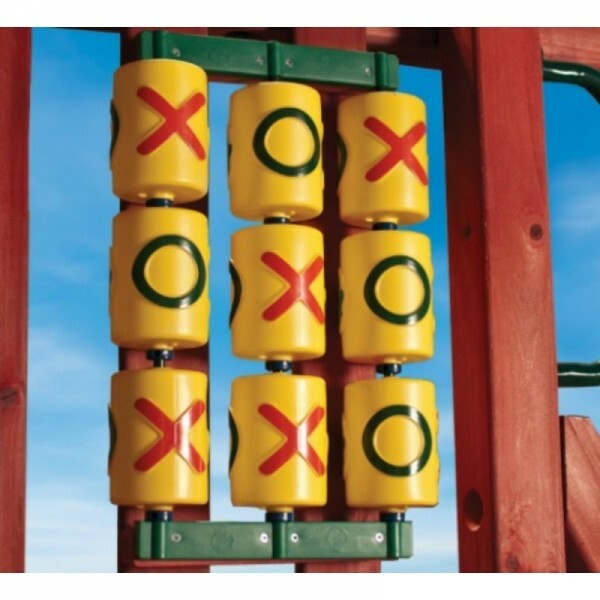 Gorilla Playsets' cedar naturally resists rot, decay, and insect damage.